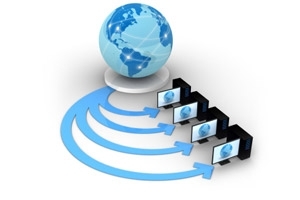 The worldwide market for content delivery network services will reach nearly US$ 6.9bn in 2017, with a compound annual growth rate (CAGR) of 14% over the next five years, according to US firm BCC Research. North America is expected to grow from US$ 1.9bn in 2012 to US$ 3.6bn by 2017, while Asia Pacific will come second in terms of size, growing from US$ 1.1bn in 2012 to nearly US$ 2.1bn in 2017. This strong performance for the CDN sector is being powered primarily by growth in the video delivery segment, which is expected to grow more than 30% in five years as a result of the surging popularity of over-the-top video, according to the research firm. As a result there is believed to be a «robust» growth opportunity for networking, server, and specialised hardware providers, with four trends causing explosive growth: mobile device capacity growth, advances in networked home, cloud services, and user-generated content.